I had a fabulous time on Friday night, eating, drinking and talking into the wee small hours with good friends. Thanks to Toni for having us at her house, to Ariane for yummy pumpkin and potato and leek soups and to Cate for scrumptious apple dessert and a boyfriend who drove me home at 3:00am. We started our day with breakfast in the sun on the front deck and then went to the kids’ school to sell sausage sandwiches for 1.5 hrs to those lined up to vote and then came back to the polling place up the street from our place to do our democratic duty. I did my little bit to contribute to the 5.3% swing to the Greens in the House of Representatives in our electorate (we’re in one of the safest Liberal seats in the country, it’s look for the bright side or despair) and to the election of NSW’s first Greens senator. We seem to be in limbo at the moment with a hung parliament the most probable result. We are therefore opening another bottle of red. 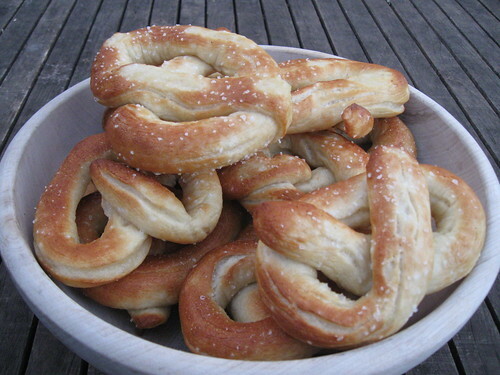 In cheerier news Adam and Tom made soft pretzels today using this recipe and they were awesome. 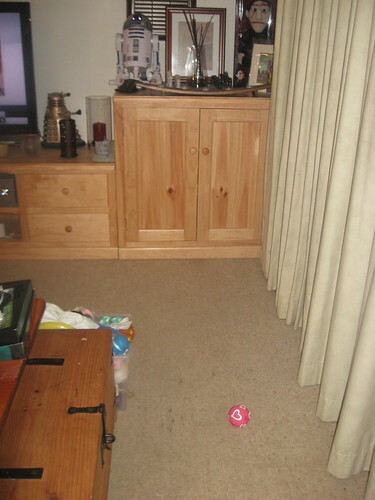 I found myself obliged to tackle lounge room corner the third this afternoon because I needed to move the cabinet in that corner in order to reach the TV aerial and plug it in to the wall socket behind the cabinet. We’ve been without broadcast TV since I accidentally unplugged the aerial when plugging in the Christmas tree lights at the beginning of December last year. 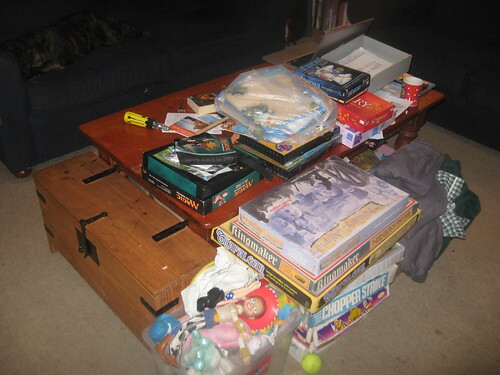 Now, that looks better…but wait, what’s that behind the coffee table? 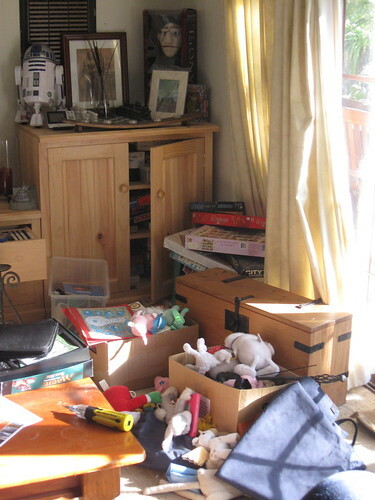 Ah, that’ll be tomorrow’s project! Now, you’ll have to excuse me, I have red wine to drink, vintage cheddar to nibble and inconclusive election results to obsess over. Fascinating inconclusive results to obsess over! I am in my element with this sort of palaver!! I am a left of centre supporter, but this is beyond my wildest dreams! I hope the Nats keep on insulting KatterWindsorOakshott. I see you, Puppet Angel! That's one of my favourite episodes. My brother has both versions – 'human' puppet Angel and vampire puppet Angel.